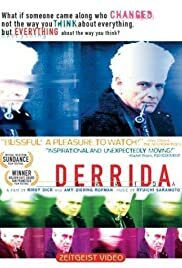 Documentary about French philosopher (and author of deconstructionism) Jacques Derrida, who sparked fierce debate throughout American academia. When In Disgrace With Fortune and Men's Eyes: Close-Up on Nicholas Ray's "In a Lonely Place"
The Same River Thrice: Close-Up on Lav Diaz’s "Elegy to the Visitor from the Revolution"
A look at the controversial author, philosopher and candidate for Slovenian presidency: Slavoj Zizek. A 3000km journey up the Danube river to the heart of Europe. 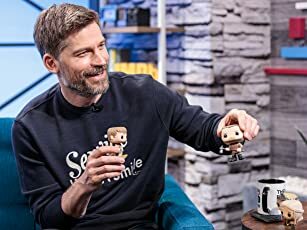 What if someone came along who changed not the way you think about everything, but everything about the way you think? There is little I can write that other reviewers have not already, skillfully written. The film was a gutting disappointment in regards to portraying segments of the life of a brilliant philosopher. The filmmakers were dim when it came to asking stimulating questions, and (gleeful to watch) Derrida called them out and/or mocked them for this on occasion. Too, the American interviewer lacked the French necessary to do the man justice. What is also bothersome: the filmmaker's readings of Derrida quotes. It seems so self-involved. Why not have Derrida read them? Also, while Derrida touches on issues of masculinity and philosophy, the words would have still been better read by a man, if for nothing more than auditory pleasure/consistency. The filmmaker drew far too much attention to herself rather than the incredibly intelligent man she was interviewing. I agree entirely with the reviewer that said the filmmakers were like groupies. Indeed. Seemingly dimwitted, self-involved groupies, at that.